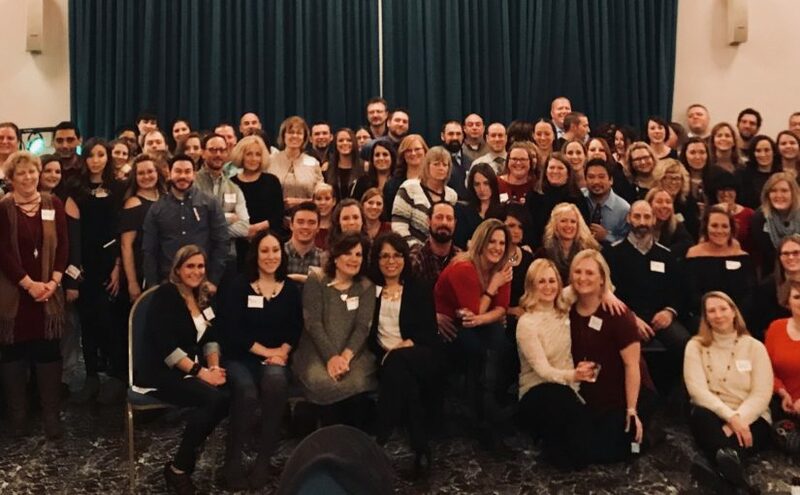 On Saturday evening, January 6, 2018, the annual UnityPoint Health Medical Imaging staff held its annual holiday party at the Gateway Building on the Peoria Riverfront. Radiology staff from UnityPoint Health Proctor, UnityPoint Health Pekin and UnityPoint Health Methodist attended with their guests. Approximately 130 people attended the event. A wonderful time was had by all! We send out special thanks to John Werdeman, Jenny Rose and Juanita Calder for organizing the event! No Grinches Party – Experience the spirit of giving with an office-wide charity event. Check out Givewell.org, a great tool that ranks charities in order of their effectiveness. It shows the impact your donations have and where they go. Party for a Paw-pose – Help adoptable dogs and cats find their forever homes. Contact local animal shelters like this one in Tazewell County. For that reason, see if you can arrange for partygoers to get in hugs and adopt pets in need. Ugly Sweaters, Beautiful Donations – Share the spirit of the holidays with the homeless. In order to spread holiday cheer, collect clothes for shelters. In addition, you can have fun by coming up with prizes for the best donations. The Great Cookie Bake-Off – Rather than bring in store-bought treats, encourage employees to compete for awards or prizes with homemade goods. Gourmet Gathering – Bring your staff closer together by taking a company-wide cooking class. Ornamental Occasion – Grab some plain ornaments and invite employees to use craft supplies to create custom keepsakes. Around-The-World Affair – Create a sign-up list for employees to make traditional holiday side dishes from other countries. You can always have a caterer prepare the main entree to make sure there is enough to eat. Attire Affair – You can combine this idea with the around-the-world one or make it separate. Invite guests to wear traditional holiday garb from the countries represented by their dish. To make it separate, guests can wear garb that represents their heritage. Blindfold Bash – Pinatas celebrate holidays all year long in Mexico. Buy an appropriately themed pinata and fill it with adult goodies like airplane-size booze shooters, candy and gift cards. Take Me Out to the Ballgame – Hockey and basketball are in full swing. Get a suite and go watch the pucks or basketballs fly. Bubbly Bash – Feel like a hamster with bubble soccer. You can get together for a company soccer match while inside a big inflatable ball. In addition, you can add fun by choosing the bouncy-ball kind to send coworkers bouncing off one another. Stay In Your Lane – Bowling can be a fun competition for everyone. Spice up games with trick shots and bumper bowling. Specialists in Medical Imaging wishes everyone good health during the holidays. However, we can help patients in Peoria, Pekin and Galesburg when they do experience health problems. 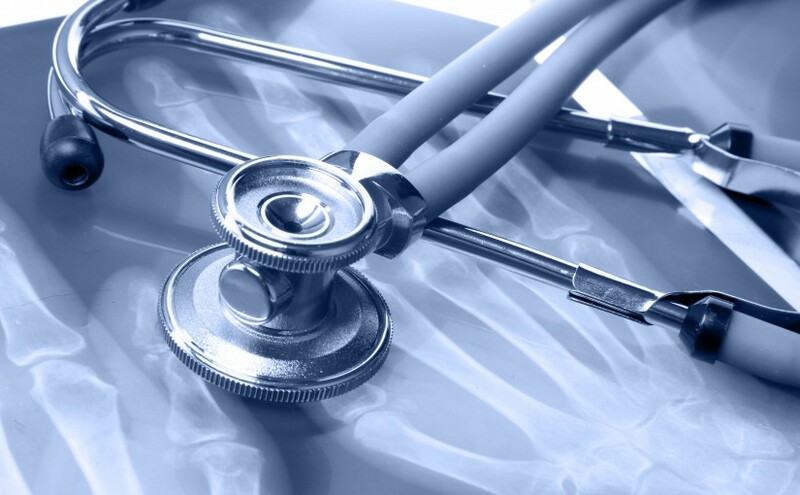 Trust our team of radiology experts to diagnose and care for you to get you back on track. Call us today at 844-821-7046 or contact us online for your radiology needs. We are excited to announce the new construction for Hybrid Nuclear Medicine Spect / CT. !! It is with much anticipation and excitement that we are announcing the construction for the new Hybrid Nuclear Medicine Spect / CT. This new piece of equipment will provide our patients with the highest level and quality Nuclear Medicine exams in the area. Along with cutting edge image quality, we will be gaining a 2nd CT scanner allowing us to transition into a Lung Nodule Screening Center and a Lung Nodule Center of Excellence. We are also excited to announce that one of our own, Dr. James McGee was inducted as a Fellow in the American College of Radiology. Reston, Va. — James A. McGee, MD, FACR, has been inducted as a Fellow in the American College of Radiology (ACR). The induction took place at a formal convocation ceremony during the ACR 2016 — The Crossroads of Radiology ® meeting May 15 in Washington, D.C.
both in Peoria. McGee is a member of the ACR, Radiological Society of North America and the Illinois State Medical Society. He received his medical degree from the University of Iowa Carver College of Medicine in Iowa City. One of the highest honors the ACR can bestow on a radiologist, radiation oncologist or medical physicist is recognition as a fellow of the American College of Radiology. ACR Fellows demonstrate a history of service to the College, organized radiology, teaching or research. Approximately 10 percent of ACR members achieve this distinction. The ACR is a national nonprofit association serving more than 37,000 radiologists, radiation oncologists, interventional radiologists, nuclear medicine physicians and medical physicists with programs focusing on the practice of radiology and the delivery of comprehensive health care services. SMI would like to welcome two new Radiologists to our team, Dr. Owen Sweis and Dr. Vadim Grechushkim. 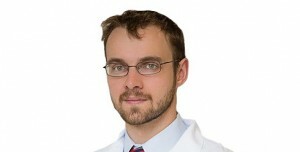 Owen Sweis, MD graduated from the Medical College of Wisconsin. He completed his residency training in Diagnostic Radiology at Loyola University Medical Center in Chicago followed by a fellowship in Vascular and Interventional Radiology at Indiana University. Dr. Sweis is board certified in Diagnostic Radiology. He received the RSNA Roentgen Ray Resident Research Award in 2014 as well and the Chicago Radiological Society Lasky Resident Award in 2012. Dr. Sweis is dedicated to a strong clinically driven Interventional Radiology practice. 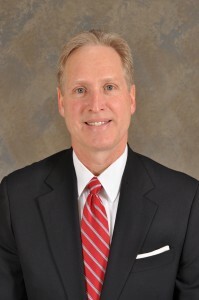 He has experience with a wide variety of interventional procedures including image guided drainages and biopsies, venous access, arterial and venous interventions, filter placement and management, hepatobiliary interventions, dialysis shunt interventions, catheter directed pulmonary thrombectomy, gastrointestinal, genitourinary and gynecological interventions as well as spinal procedures. His interests include Interventional Oncology specifically liver directed therapy including Y90 radioembolization and Chemoembolization. Vadim Grechushkin, MD was raised in New York City. 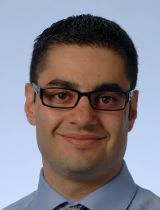 After attending Johns Hopkins University for his undergraduate degree, he returned to New York City to attend the New York University School of Medicine. He completed his radiology residency at the State University of New York at Stony Brook, followed by subspecialty fellowship training in trauma and emergency imaging at the Massachusetts General Hospital in Boston, MA. He has published several papers in the field of emergency radiology, as well as in interventional and chest imaging. Dr. Grechushkin has recently joined SMI and provides emergency radiology services and after-hours coverage. Outside of medicine, his interests include travel, fitness, and photography. PEKIN, Ill. — Women in Tazewell County no longer have to travel to Peoria for 3D mammography. Doctors are expected to diagnose nearly 8,000 people with breast cancer in Illinois alone this year. 3D mammography, also known as digital breast tomosynthesis, is helping to catch cancer earlier. Lyb Collier’s gentle demeanor helps put Pekin Hospital patients at ease. She’s a mammographer, and she knows how stressful the simple test can be with its unknowns and what ifs. As Collier walks patients through the screening, she can’t thinks of her own experience. After more than 20 years of helping other women through the breast cancer screening process, her own mammogram results came back positive for breast cancer. She wasn’t shocked. Collier had a family history of the disease. The 54-year-old has dense breast tissue, which can make it hard to find cancer early on a 2D mammogram. That’s why she is glad patients at Pekin Hospital now have access to the latest 3D screening technology. “It does detect things earlier, but I think, more importantly, is it’s more specific,” said radiologist Dr. Gordon Cross. Dr. Cross says the slightly more expensive test provides a far better look at breast tissue than the traditional 2D screening, and his patients in Tazewell County no longer have to travel to a larger hospital to have access to the 3D exam. “It is revolutionized mammography… Fewer callbacks, more accurate, shorter wait-time for results,” said Dr. Cross. The radiologist and his team members like Collier say they just wish all insurance companies would automatically cover the extra cost of what they call a superior exam. It’s the 25th of the month, the day we remind you to be pro-active about your health by getting screened, doing a breast self-exam, and telling a buddy to do the same. PEKIN, Ill. — Look for a new medical building in Pekin in a few months. The project is underway now along Griffin Avenue. It is expected to be a three to four year effort. Wednesday’s groundbreaking drew a strong crowd of medical professionals and local leaders eager to see the $16 million facility go up. The Progressive Health Systems building will have 62,000 square feet for family practice and internal and pediatric specialists, along with basic x-ray and lab services. “It’s our hope that this is going to be the stepping stone or the cornerstone, so to speak, to continue to see growth out along Veteran’s Drive, and also on Griffin Avenue,” said Pekin Mayor John McCabe. The goal is to use the first two floors when the building opens in the fall of 2017, leaving the third floor open to potentially add doctors and staffers.